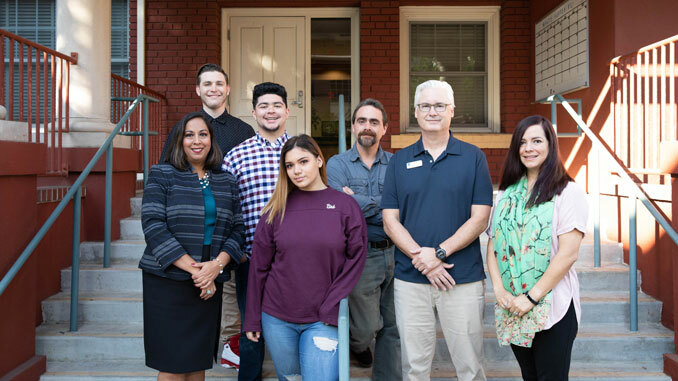 For countless at-risk youth and their families, the Children’s Home of Stockton (CHS) is and has been nothing short of a godsend. The stately complex of burgundy brick buildings on Pilgrim Street in Downtown Stockton has a history that reaches as far back as 1882, and a charitable legacy to match. However, if you’ve never been, perhaps you imagine the Home to be some kind of purgatory for disadvantaged kids, grey and grim, holding them in a place between past trauma and inevitable future turmoil. You would be very, very wrong. That said, it’s not unusual for Group Homes in California get a bad rap. In 2016 Senator Mark Stone acted on this stigma, endorsing the Continuum of Care Reform AB-403, a bill that would initiate a two-year process of phasing out group homes in California. By January 2019, group homes like CHS will cease to exist. But, the disadvantaged youth of San Joaquin need not worry—the Children’s Home of Stockton has a plan. Shedding the title of “Group Home”, CHS recently became a Short-Term Residential Treatment Program (STRTP), a classification change that will allow them to continue to care for their students and residents. But, the change is not without consequences. The fact is, few civilians—and, dare I say, politicians—really know what goes on in a group home setting, much less the kids who stay there. However, in light of this new legislation, places like CHS need their community’s support now more than ever, if they are to continue rehabilitating our youth who would otherwise be left behind. The CHS campus is larger than you’d expect. Brick offices and classrooms make up the main interior, and in the far right corner are the Cottages—white buildings housing children who are in need of Residential Treatment Services. There are seven of these cottages, each specializing in addressing certain issues, including dysfunctional family systems, physical abuse, substance abuse, delinquent/pre-delinquent behaviors, social skills & living deficits, etc. Treatments vary from individual, group, and family therapy, daily living skills training, vocational training, and more. While all of this sounds very clinical, the Cottages exude a surprising mix of friendliness and orderliness that you’d expect from the apartment of college kids—very responsible college kids. The main living area consists of a full kitchen, dining room, and living room with an entertainment system. A massive whiteboard hangs on a wall in front of the kitchen table, listing the names of every resident (about 10) and the chores they are currently assigned. Certain pets are allowed—while visiting, I am introduced to a small bearded dragon and a guinea pig named Juapito. The first resident I meet is Jordan. Sixteen years old, Jordan attends CHS’s One Vision high school, and is very close to graduating. His favorite class is music, in which he learned to play acoustic and bass guitar. Jordan comes from a background of family disfunction and gang affiliation, but you’d never guess it. When he greets me and sits down for his interview, he’s all smiles, all respect. Having essentially lived on his own from the time he was 13, Jordan developed issues with authority, and lacked a steady role model to show him how to handle life’s challenges. But all that changed when Jordan came to CHS. Structure taught him that independence and discipline live side by side—and family therapy services helped him reconnect with his mom. At the time of his interview, Jordan was planning to move onto San Joaquin County’s transitional housing program, in which previous residents relocate to apartment-style living with fewer roommates. Residents are required to either A) attend college full-time, or B) maintain a full-time job. They’re also assigned a life coach who teaches them how to budget and handle various adult responsibilities. Since then, however, there has been good news: Jordan’s grandfather has invited Jordan to stay with him. Many teenagers find attending public high school to be a difficult experience. In that kind of environment, especially that of larger schools, it can be easy to feel lost in the crowd. For Masha, the public high school experience was long past difficult: her social anxiety made it almost impossible for her to attend school, and when she did, being around too many people at a time made her feel trapped. But, for Masha, that was business as usual. Even the resulting suicide attempts she describes with nonchalance—that is, until Valentine’s day. A textbook case of victim-blaming led Masha to make her most serious suicide attempt. And, she might have succeeded, if not for one of her good friends. “My friend rushed to my house and had to stop all the bleeding—it was just a whole mess,” says Masha. At that point, it was clear that her public high school environment was too toxic. In a stroke of luck, Masha’s mother lived near the CHS campus, and quickly enrolled Masha in CHS’s Non-Public School (NPS) program. NPS is an education program designed for students who need a more specialized environment in which their individual needs can be met. With smaller class sizes, an emphasis on behavior management and social skills development, and a highly structured campus environment, NPS provides students with a safe place to learn. For Masha, the program came into her life just in time. Since becoming a Day Student of NPS, her outlook on life and ability to engage in academics have improved dramatically. On top of her improved attendance, at NPS, Masha also found her voice. “I play 3 instruments, guitar, ukulele, and piano, but I mostly like singing,” says Masha. “I’m doing a performance this weekend downtown at the Red Orchid for an event,” she adds, with a smile. Since attending NPS, Masha has been steadily progressing toward the goal of graduation. Over a year clean of self-harm, it’s thanks to NPS that Masha now looks forward to her future: she currently plans to attend college, earn a degree in Sociology, and pursue a career along the lines social work. “CHS really helps you feel like you matter, like you belong somewhere, even if it’s somewhere small,” concludes Masha. Salvador Hernandez-Rodriguez had spent two months in Juvenile Hall when the court gave him the option of joining CHS’s Residential Treatment Program. He took the deal, but the doubts lingered. Thankfully, it didn’t take Sal long to realize that CHS was far from a detention center. Instead of punishing Sal for his past actions or present anger, CHS therapy services sought out the causes of Sal’s destructive behaviors and helped him overcome those issues—the majority of which stemmed from deeply-ingrained cultural and family dynamics. Through frequent individual therapy, group therapy at least twice a week, and family counseling once a month, Sal learned that it was okay to express his feelings and be honest with his family. With his anger under control, Sal can focus on the things he’s passionate about, from creative writing, to acoustic guitar, to community service. Close to graduating, Sal’s set his eyes on academia. “I really want to go to college because I think that’s where I’m destined to go,” he says. Post-college, Sal hopes to pay it forward by going into psychology or social work. As CEO of the Children’s Home of Stockton, Joelle Gomez knows all too well how group homes—and the children within—can be misjudged. It’s easy to say that welfare systems are broken, because no matter how much work is being done, there will always be people who encounter life’s obstacles, fall down, and need help getting back up. But the ongoing nature of the problem, rather than invalidating child welfare, only supports the ongoing need for programs such as the Children’s Home of Stockton.